Here’s what’s happening in the world of television for Wednesday, September 19. All times are Eastern. The Sinner (USA, 10 p.m.): The first season of The Sinner ended with some questions unanswered, and likely always to remain so. Odds are, this second season will do the same—though after last week’s fireworks, viewers already have quite a few answers. 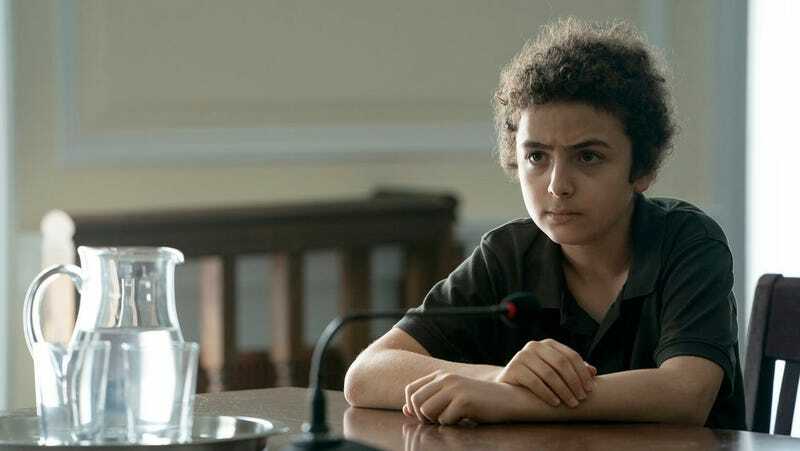 No matter how much of Julian’s tragic story remains a mystery, as Alex McLevy put it in his review of the penultimate episode, “the show is consistent in its ability to entertain and draw out the sense of steady pacing even when it’s racing to the finish line.” It’ll cross that finish line tonight; as it has not yet been renewed, this might be the end of the road for Bill Pullman’s Detective Harry Ambrose. I Feel Bad (NBC, 10:02 p.m.): Executive-produced by Amy Poehler, this series is not grammatically incorrect. It is “a modern comedy about being perfectly OK with being imperfect,” so the I of the title feels like they are not perfect, i.e., bad, rather than feeling unwell. NBC will air two episodes of the series, which centers on “mom, boss, wife, friend and daughter” Emet (Sarayu Blue) and her husband (Paul Adelstein) and family, tonight, ahead of its premiere in October.